From dragon parades and terracotta sculptures to lantern festivals and yum cha, here's how to celebrate the Year of the Pig in the capital. What do Arnold Schwarzenegger, The Dalai Lama and Amy Winehouse all have in common? Apart from their larger-than-life personalities, they are all pigs — that is, according to the Chinese zodiac calendar. 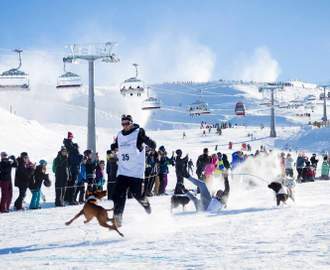 2019 is the Year of the Pig and Wellington is chocka with events and activities to festively kick off the new year. 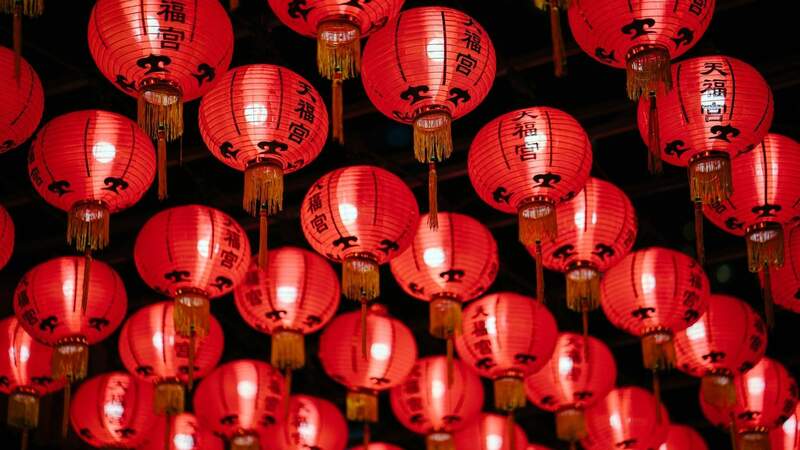 From dragon parades and terracotta sculptures to lantern festivals and yum cha, there are heaps of ways to celebrate the Chinese New Year in the capital. Coinciding with the Chinese New Year this year is a remarkable exhibit at Te Papa showcasing a 2300-year-old terracotta army from Xi'an, China's ancient capital. In 1974, the ancient warriors were discovered fortuitously by farmers while they were digging a well. For two millennia prior, more than 8000 life-size soldiers and 130 chariots with 520 horses — each intricately carved with distinct features — lay hidden underground, secretly guarding the tomb of Qin Shihuang, China's First Emperor. The discovery of the hidden army is regarded as one of the greatest archeological finds in history, and many consider it to be the eighth wonder of the ancient world. At Te Papa, you can get up close to eight life-sized soldiers, along with two horses and bronze horse-drawn chariots. Also on display are ancient Chinese art pieces found within imperial tombs dating back to the Western Zhou and Han dynasties (1046 BCE – 220 CE). The Terracotta Warriors: Guardians of Immortality exhibit at Te Papa lasts until 22 April 2019. 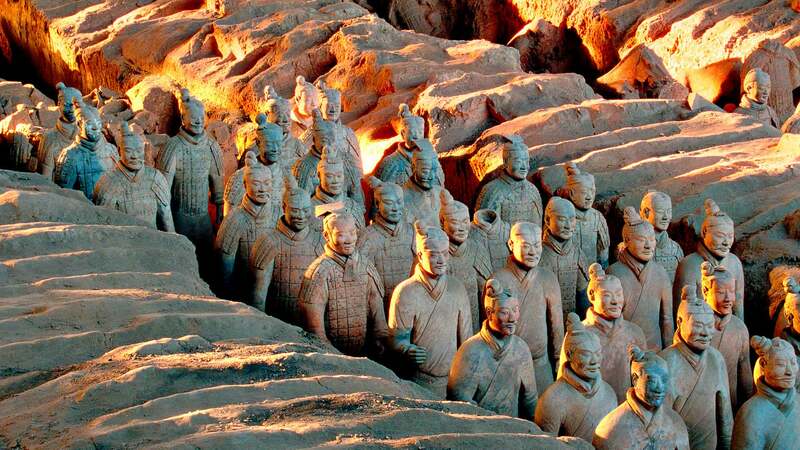 It's hard not to be overcome with feelings of awe and reverence for the masterful skill and time (roughly 40 years) involved to build the Terracotta Army more than 2,000 years ago. For artist Xia Nan, this reference became inspiration for his now internationally acclaimed exhibit, which was commissioned for the Beijing Olympics Games in 2008. Featuring brightly colored lanterns in the form of 38 warrior figures and two horses, Nan's aim was to bring two aspects of Chinese culture together — the story of the Terracotta Army and the ancient tradition of lantern-making. The Lanterns of the Terracotta Army exhibit has traveled around the world, from Sydney Harbour to Manchester to Prague, and now, to Te Papa forecourt, where it will stay throughout the duration of the Chinese New Year period. Symbolic meanings are an intrinsic part of Chinese culture, and the Chinese New Year is replete with them. There's nothing wrong with simply enjoying delicious Asian food or the colorful lanterns and firework displays on a surface level. But if you want to delve deeper and appreciate the layers of meaning surrounding the Chinese New Year, it'd be worth gaining insight into the symbols and history behind the traditions. For this, Friends of Te Papa have you covered. At 101: Chinese New Year, learn about the origins, art and culture surrounding the Chinese New Year. An informative, rapid-fire discussion led by experts from Wellington and Xi'an provides a casual introduction to the annual tradition and allows you to ask those questions you've been wondering about like: What's lucky in the Year of the Pig? What does it mean when to be a pig in the Year of the Pig? 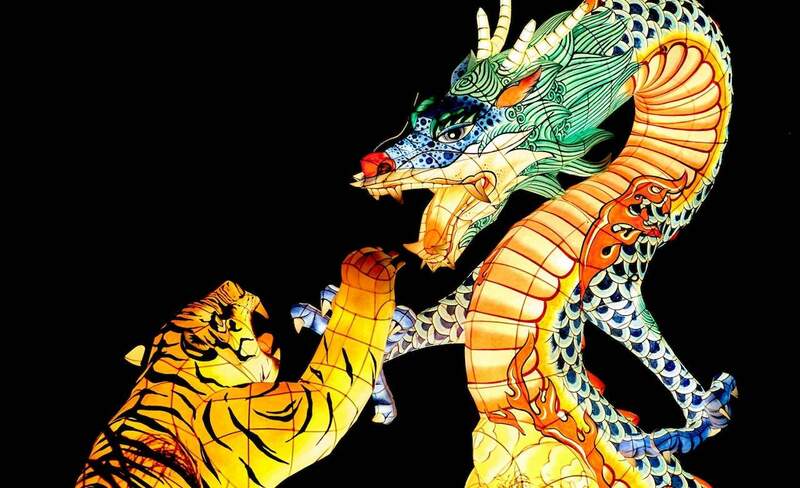 Why is it common to light lanterns and perform dragon dances? Find out these answers and more on Tuesday, 5 February from 5.30-6.30pm. Combining martial arts, Beijing opera, traditional acrobatics and contemporary dance, East Meets West is a unique performance where Kiwi and Chinese entertainers share the stage. The show features the Jinan Acrobatic Troupe from Shandong Province, China and some of Aotearoa's best performing artists, including Footnote New Zealand Dance, Touch Compass Dance Company, hip hop group The Company NZ and internationally acclaimed choreographer and filmmaker Daniel Belton. The cross-culture performance is meant to deepen appreciation of both eastern and western cultural identities and to challenge pre-conceived notions of Asian arts and culture. 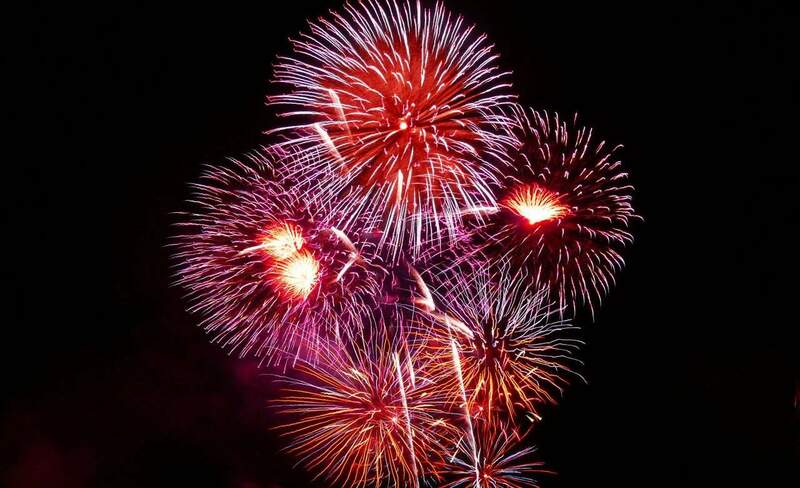 After the show, head to the waterfront to catch the fireworks display. Saturday, 9 February 2019, 7pm-9pm, gold coin donation. It seems only fitting to bid farewell to the Year of the Dog and welcome the Pig with a dazzling display of fireworks on the waterfront. The entertaining explosives were, after all, invented by the Chinese around the year 1000 A.D., after a Chinese monk supposedly stuffed bamboo with gunpowder and tossed it into a fire. While the captivating burst of sound and color will no doubt be beautiful, it was also hold a deeper meaning within the context of the Chinese New Year — fireworks are meant to ward off evil spirits and to summon good fortune for the coming year. The light show starts at 9.30pm on Saturday, 9 February 2019 on the waterfront. In order to ensure you won't miss some of the top performances of the Chinese New Year, head to TSB Bank Arena on festival day (Sunday, 10 February) for an all-day program jam-packed with free festivities. 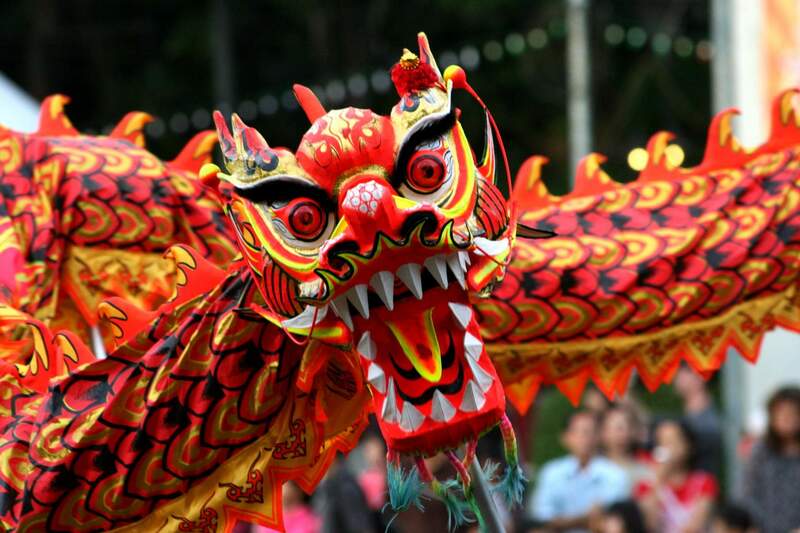 Get there early, as the day starts with traditional dragon dancing, followed by Chinese brush painting, a martial arts demonstration, Cantonese opera, Tibetan drumming and plenty more. There will also be a special performance by the heralded Jinan Acrobatic Troupe, a gratuitous treat, especially if you're unable to catch them at the East Meets West show the night before. The day's cultural entertainment is for all ages and interests and the event is free, so you can come and go as you please. Sunday, 10 February 2019, 10.45-5pm, free. Wellington is a great place for satisfying Asian food hankerings year-round, but at the Chinese New Year Festival, the city outdoes itself. 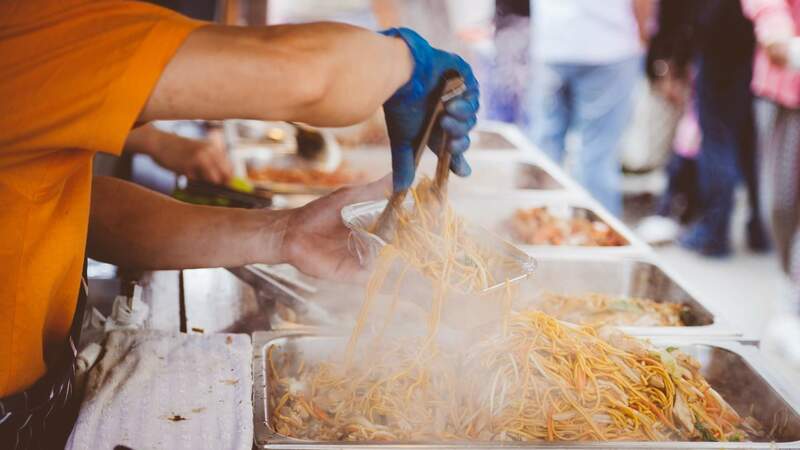 To double-down on your fulfillment, go on an Asian food hiatus until this Sunday (10 February), when you can indulge at a plethora of food stalls offering Malaysian, Indonesian, Thai, Vietnamese, Japanese and Chinese cuisines. After you've adequately gorged in all the tastes and smells on offer at Shed 6, meander toward the nearby craft stalls for some post-lunch shopping. Every year, the Wellington Night Market on Lower Cuba Street transforms into a magical, lantern-lit wonderland. The two-day celebration of the Year of the Pig will be illuminated by hundreds of handmade lanterns custom-built by Chinese artisans, including a dragon, a pig, a peacock, and even a kiwi, some measuring up to five meters long. Journey through a dazzling display of light art, participate in games and competitions and explore a tunnel exhibition made by students from local schools. More than 70 Wellington food stalls will be serving up local street food and there will be cultural performances from more than 150 artists. Saturday, 23 February 2019, 5pm-12am and Sunday, 24 February 2019, 12pm-12am. 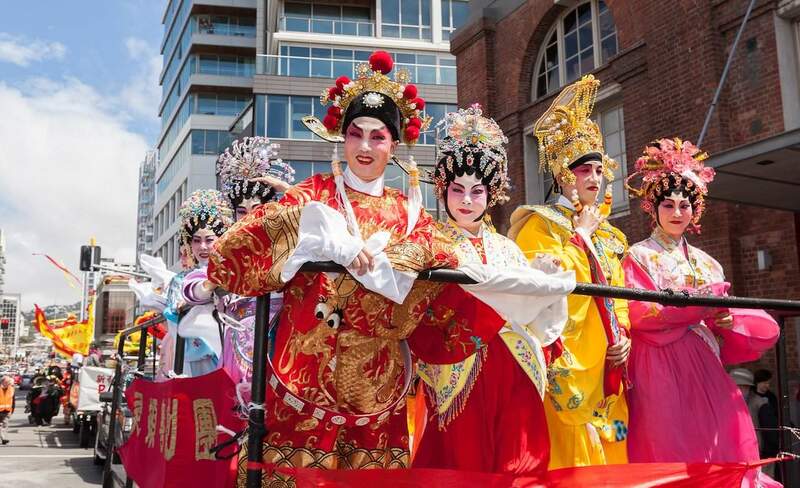 This community-led parade is a local favourite at the Chinese New Year Festival. Join in the procession, filled with music, dance, lions and dragons, or stake out a good place to watch the spectacle along the parade's route. 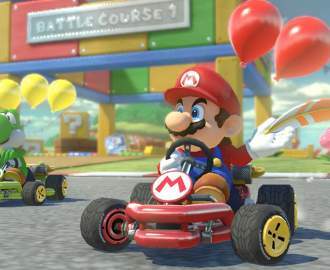 Starting at Tennyson Street, the parade will pass through Tory Street, lower Courtenay Place, Taranaki Street, Taranaki Wharf, and will end at Frank Kitts Park. If you have kiddos, head to Frank Kitts Park a few hours before the parade for Pig Play in the Park (11am-3pm), an event of family friendly activities including face painting, inflatable rides and a petting zoo. The parade starts at 2pm the day of the Chinese New Year Festival (10 February), and lasts for approximately 40 minutes. One of the main traditions surrounding the Chinese New Year is spending time with family, an experience that goes hand-in-hand with sharing an abundance of traditional food. 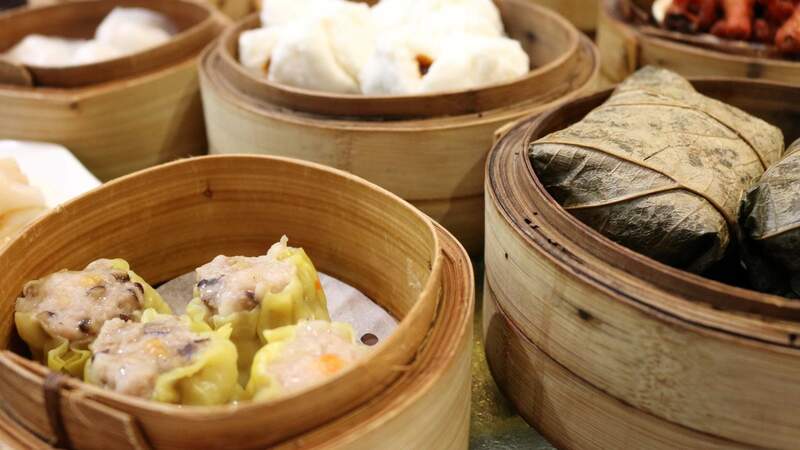 Three local restaurants are offering Wellingtonians a taste of a Chinese culinary tradition called yum cha — a communal food sharing experience in which small portions of dim sum dishes are served in bamboo steamers and washed down with tea. When you book a yum cha lunch, you can also enjoy a Lion Dance performance by the Wellington Chinese Sports and Cultural Centre Lion Dance Troupe, meant not just to entertain but to bring you good luck for the year ahead, while you eat. Saturday 9 February: Dragons Chinese Restaurant, Regal Chinese Restaurant and Grand Century Chinese Restaurant.